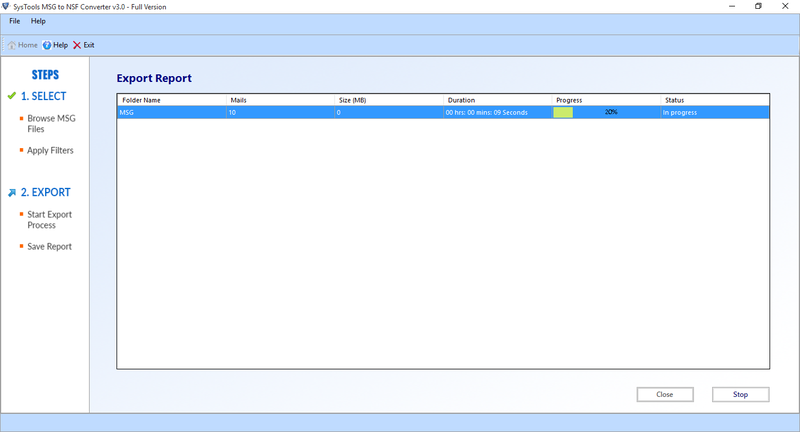 Import MSG File into Lotus Notes completely. 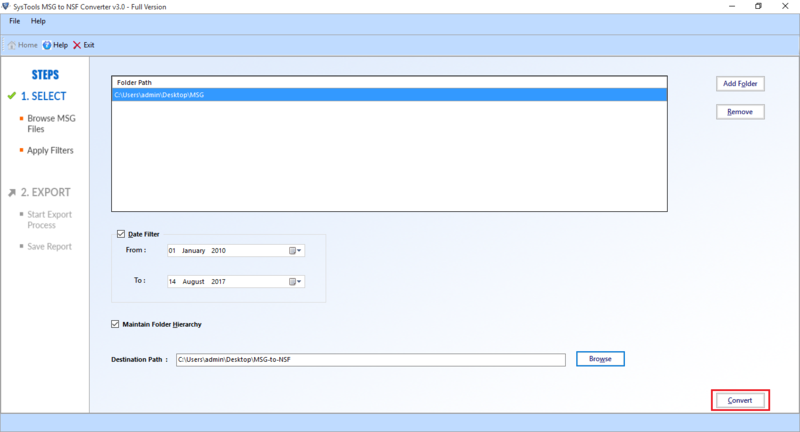 Conversion of multiple .msg files to Lotus Notes database file. Maintain folder hierarchy after conversion process. 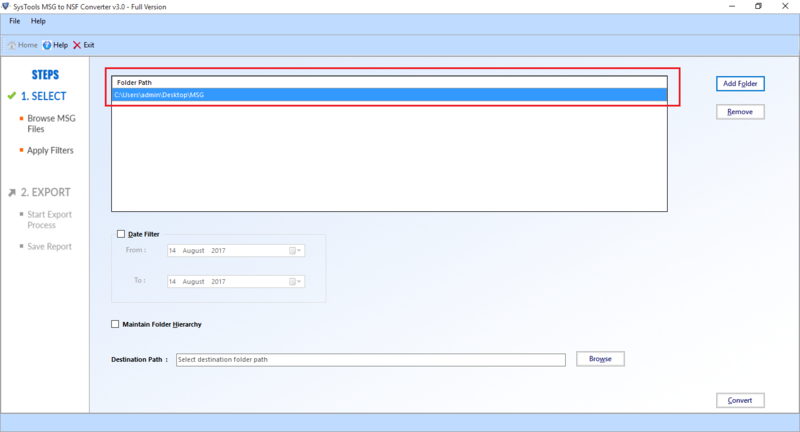 Option to apply date based filter for specific data conversion. Save MSG to NSF export report in CSV file. Compatible with any version of Lotus Notes. This is a much efficient software to convert Outlook MSG to Lotus Notes database file in a very safe manner. No data loss occur during this conversion process, it allows to retain all meta properties like to, cc, bcc, from etc in Lotus Notes also. User can add folder containing multiple MSG files to Lotus Notes NSF files using MSG to NSF converter. If user want to move bulk of outlook messages to Notes NSF then it can done by add folder option in tool. This Outlook MSG to Lotus Notes converter provides an option to move only the specific data which user wants by providing date based filter which allows users to enter the date range between which they to import data. Using this software, user can import msg to lotus notes with maintaining their data folder structure. MSG to NSF converter assures to keeps the same hierarchy of files or folder in Lotus Notes even after conversion process. To convert MSG to Lotus Notes using this converter tool, installation of Lotus Notes 9.0, 8.5 or any other version is necessary. MSG files will not be exported in Notes database file without the environment of Lotus Notes. Step 1: Install and Launch MSG to Lotus notes converter tool on your system. 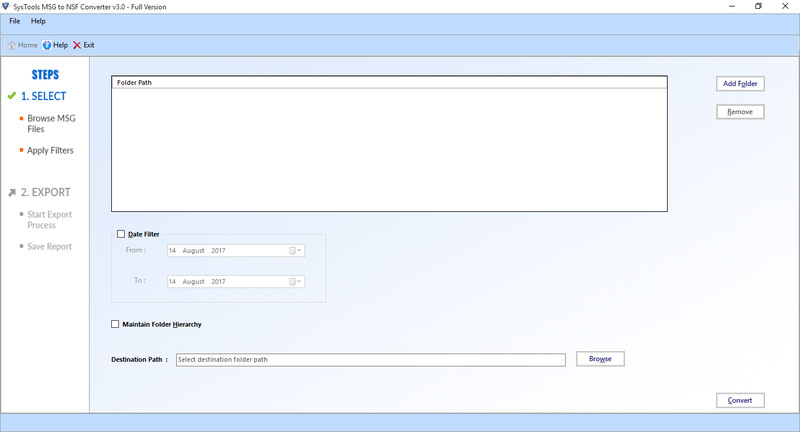 Step 2: Add multiple MSG Files by clicking on Add File option and apply date filter. Step 3: Hit the Convert button to Export MSG to Lotus Notes at the destination location. To completely understand the working of MSG to NSF Converter and to know all of its features more precisely, watch the below given video and convert MSG files to Lotus Notes. Is installation of Lotus Notes is necessary to convert MSG to Lotus Notes? Yes, to import MSG to Lotus Notes, installation of Notes is necessary otherwise conversion is not possible. Does MSG to NSF converter allows to export multiple msg files all at once? Yes, the add folder option in tool allows users to convert bulk of msg files to Lotus notes NSF at a time. Is there a trial version of MSG to Lotus Notes converter is available? Yes, the demo version of this tool is available to convert Outlook MSG to Lotus Notes but it exports only 25 items. 60 MB of free hard disk space should be available. Any versions of lotus Notes (9.0, 8.5, 8.0 etc). 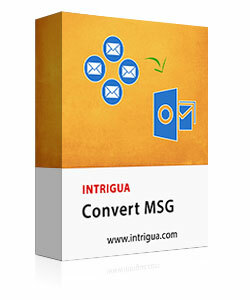 Microsoft windows are supported by Convert MSG software including Windows 10, 8.1,8, 7, Vista, XP, 2008, 2005, ME, & NT (Any Version of Microsoft Windows). This is really useful tool for the user who want to import some specific date range of data and to convert MSG to Lotus Notes. It allows to easily convert msg file to nsf by applying filter. I was in big trouble, in that situation MSG to Lotus Notes converter helped me a lot. One of the best way with such a simple user interface to import Outlook MSG to Lotus Notes database file. I am very thankful to MSG to NSG converter, no data loss occurs during conversion process. It is very safe to use.